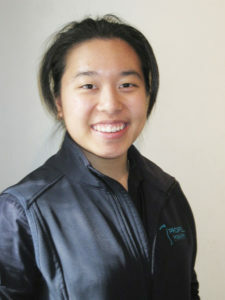 Jasmine Chan arrives at Box Hill Physiotherapy as the resident Podiatrist with a range of experiences. Australian born and able to speak Cantonese and understand Mandarin. Jasmine is an elite squash player representing Victoria as well as coaching at the Australian Squash Academy means that jasmine is very focused on getting the best results. Having always had an interest in the health of others, Jasmine also completed a Certificate IV in Sports Massage while finishing her podiatry degree at La Trobe University. She will introduce video gait analysis as part of her biomechanical assessment to Box Hill Physiotherapy, a skill refined from working alongside leading sports podiatrists at Active Feet footwear company. In order to make sure your feet are performing at their best, make an appointment with Jasmine on 9899 5575 for a complete lower limb assessment.